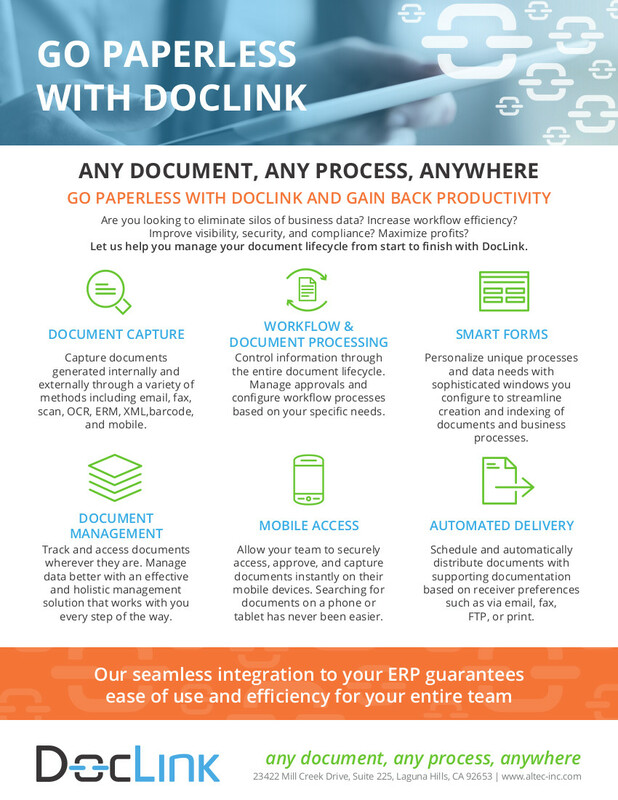 DocLink is the Sage Document Management solution that works with your ERP system to successfully remove paper from your office, so you can manage processes and transactions digitally to provide you with increased efficiency, visibility and control. 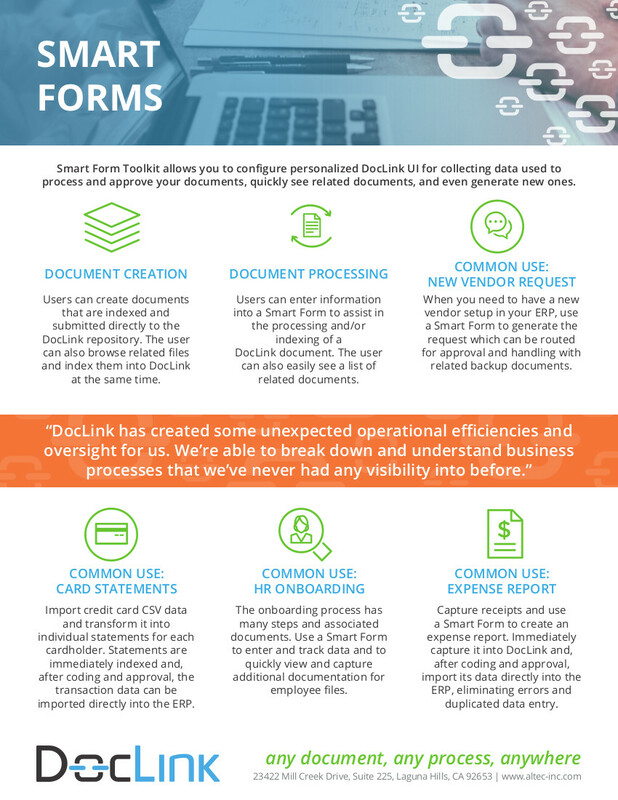 An affordable and scalable enterprise document management and process automation solution, DocLink offers a secure, single repository to store, search, retrieve and send any document securely, effectively eliminating the need to file paper documents. Track, store (any type file or format) and access documents anywhere, anytime, from any device. Simplify the matching process for purchasing invoices and the approval/coding of supplier invoices while still making those documents available from within Sage as well. Also, streamline associated processes like the approval and coding of monthly credit card statements and expense reports. Streamline any review and approval process, including AP. Documents come in different formats and from lots of different sources. Capture documents from Sage simply by printing them to DocLink. 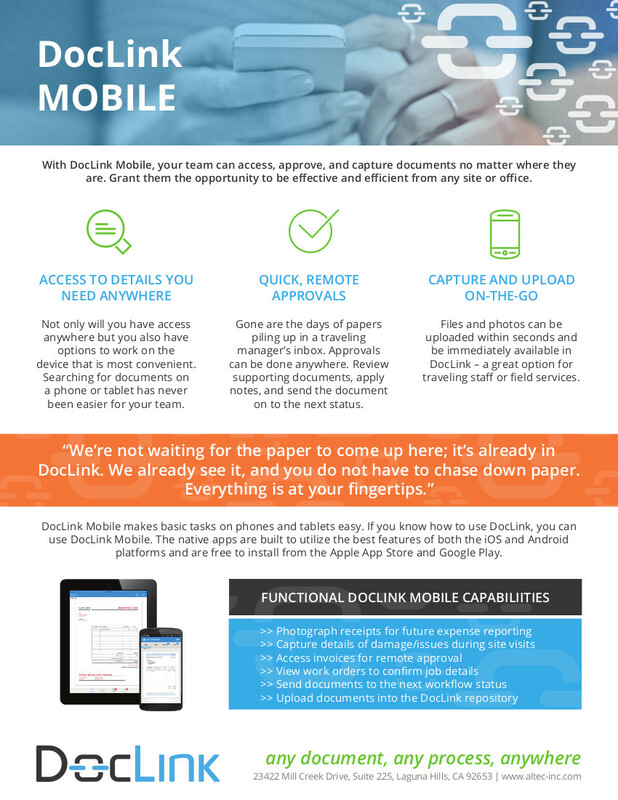 DocLink also captures emails, scanned documents, faxes, barcodes, XML files and file uploads from DocLink’s mobile app. And OCR can be used to automate the capture of data from these documents. 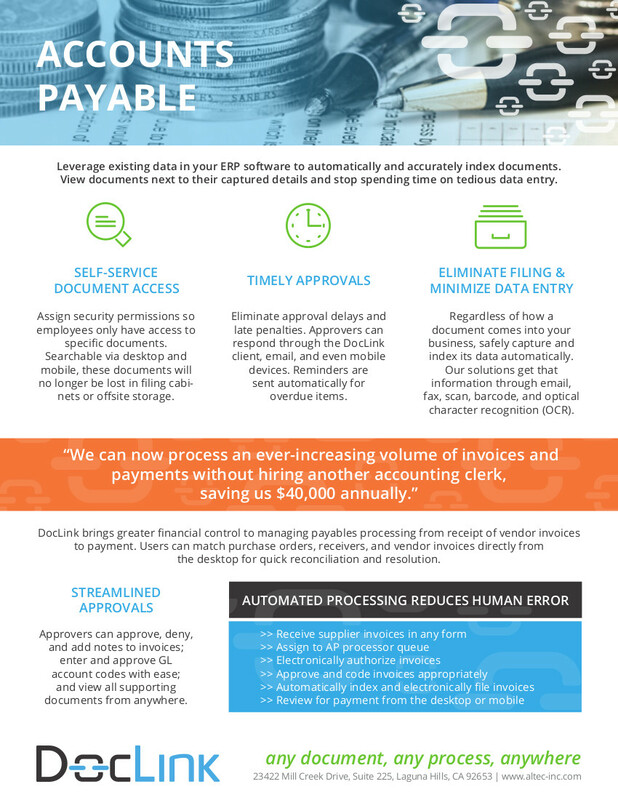 Configure your own DocLink windows for processing and approving your documents, or to create new documents (like expense reports, new vendor requests, check request, purchase order requisitions, etc.). Allow your team to securely access, approve, and capture documents instantly on their mobile devices. Searching for documents on a phone or tablet has never been easier. Schedule and automatically distribute documents to your customers and suppliers. DocLink can even find any supporting documents and include them using the preferred delivery method. When you take paper out of the equation, and you’re equipped with the right tools, the opportunities for improved efficiencies are endless! Whether it’s the AP process, sales order processing, HR On-boarding, expense reports – you name it and we can show you how to do it more effectively and help you go paperless to streamline your business processes throughout your enterprise. 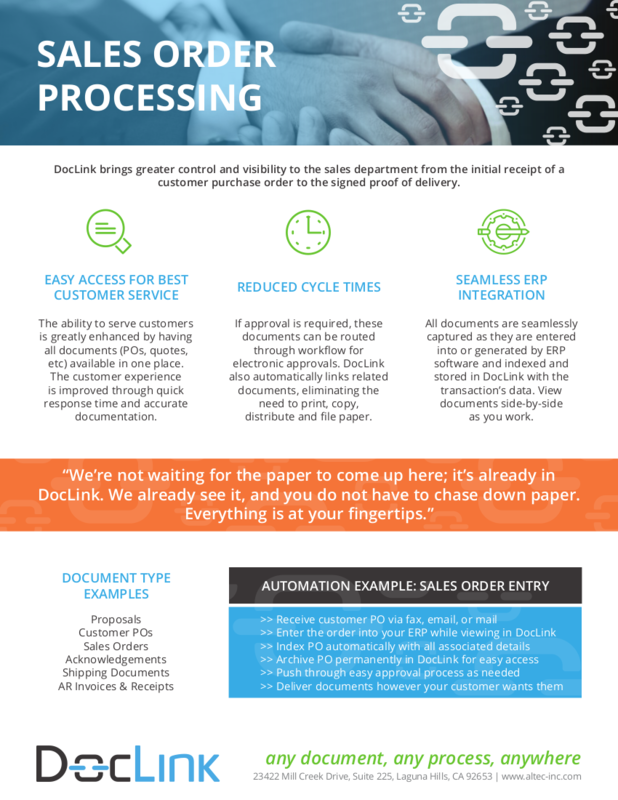 Contact us now to learn more about DocLink, Sage ERP Document Management.